An encore presentation of the three-hour event, which kicked off at 77th Street and Central Park West, airs at 2 p.m. in all time zones. 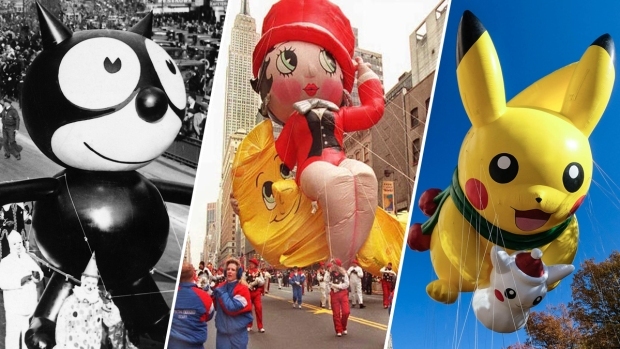 SpongeBob, Charlie Brown, the Grinch and other big balloons were cleared for takeoff just before the parade, although some of them floated at noticeably lower heights above the people holding their tethers, like the outstretched hand of the "Diary of a Wimpy Kid" balloon that appeared to hit some of his handlers on their wool cap-covered heads. Temperatures dropped to a low of 20 in New York City on Thursday — a tie for the coldest Nov. 22 on record, the National Weather Service said. The coldest Thanksgiving holiday, however, was over a century ago in 1901 when the city saw a record low of 19 degrees and a high of 26 degrees. 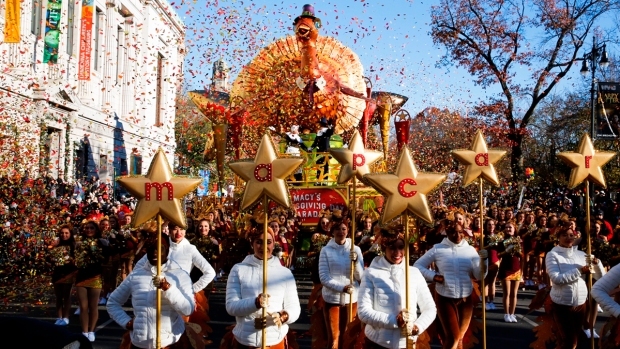 Because the parade didn't begin until 1924, Thursday was the coldest parade day for Macy's. Officials had been ready to order the 16 helium-filled balloons to a lower altitude or removed entirely if sustained winds exceed 23 mph (37 kph) and gusts exceed 34 mph (54.7 kph). There have been mishaps and injuries in the past when gusts blew them off course. Bystanders refused to let cold temperatures put a damper on watching the parade, breaking out the blankets and sleeping bags to watch the giant balloons go by. Diana Ross, John Legend, Martina McBride and the Muppets from "Sesame Street" performed in the frigid cold. Macy's said on Twitter that some of the artists "experienced technical difficulties that negatively impacted their performance." The company apologized and said the "issues were out of the artist’s control." The parade features about 8,000 marchers, including high school bands from across the country, and two-dozen floats culminating with the arrival of Santa Claus.